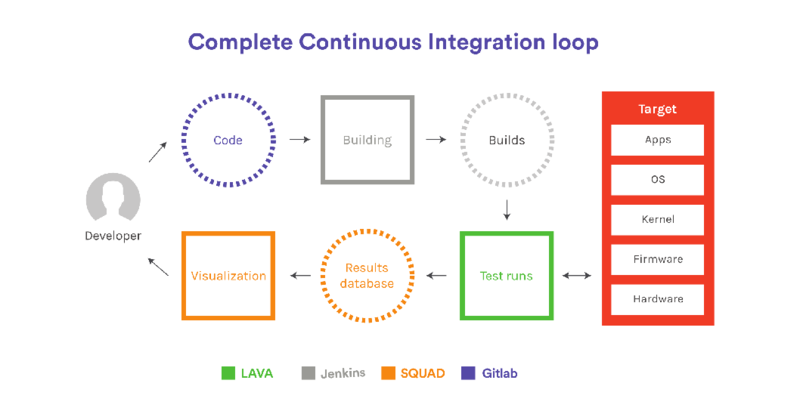 LAVA is a continuous integration system for deploying operating systems onto physical and virtual hardware for running tests. With LAVA, it is possible to run automated tests across multiple hardware platforms in the real operating system environment. LAVA powers the infrastructure behind Kernel CI project, ensuring the Linux kernel is tested on as much hardware as possible without human intervention. This talk will cover LAVA in general and its benefits in the CI process and how it can fit with on your CI infrastructure, and how we at Collabora use it to test Linux distribution images. LAVA is a continuous integration system for deploying operating systems onto physical and virtual hardware for running tests. With LAVA, it is possible to run automated tests across multiple hardware platforms in the real operating system environment. LAVA powers the infrastructure behind Kernel CI project, ensuring the Linux kernel is tested on as much hardware as possible without human intervention. LAVA can be integrated with software such as SQUAD to store and visualise the test results. For Apertis, we have written a bridge webservice which collects results related to a series of images and posts the results to the bug tracker, and also sends email and chat notifications.